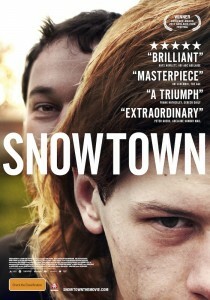 Film Reviews: Snowtown, and more! Water for Elephants, which has been adapted from the best selling novel of the same name, follows the story of Jacob (Robert Pattinson), a Polish veterinarian student who joins a travelling circus after the sudden death of his parents. Jacob is soon given the difficult task of training the circus’ newest addition – Rosie the elephant. But lucky for him, the elephant can, for some unexplained reason, understand Polish, so he’s able to train her relatively easily. The film is told as a retrospective – Jacob in the present (played by veteran actor Hal Holbrook) recounts the story of his life, and how a terrible tragedy occurred, that included Marlena (Reese Witherspoon), with whom he shares a rather special connection with. Unfortunately, Marlena is married to the man that’s in charge of the show – the overly controlling August (Christopher Waltz). The set design and costumes are stunning – production designer Jack Fisk (from There Will be Blood and Mulholland Dr) paints a realistic and somewhat depressing picture of circus life on the road during the Great Depression. And while Christopher Waltz plays the evil August with a charming ease, the horrible scenes of animal cruelty might make some audiences feel uncomfortable. Overall the film is slow paced, and is bound by the conventions of Hollywood melodrama. Your Highness is written by the usually funny Danny McBride, and stars Academy Award winner Natalie Portman and Academy Award nominee James Franco, but the film is unfortunately not ‘worthy’. Set during the medieval ages in England, Thadeous (Danny McBride) and Fabious (James Franco) play two princes who embark on a journey to rescue the innocent Belladonna (Zooey Deschanel) from the warlock Leezar (Justin Theroux). Along the way they encounter Isabel (Natalie Portman), a fierce warrior who is planning to avenge the deaths of her brothers. Surprisingly, none of the actors can pull off their English accents, and combined with the terrible special effects, and uneven structure, this film is a mess. It’s a silly, light-hearted comedy, with a few laughs at its best. Snowtown, which is currently screening at the Cannes Critics Week in France, was also the winner of the Best Feature Audience Award at the Adelaide Film Festival this year. It explores one of Australia’s most notorious crimes – the “Snowtown murders” which occurred in South Australia during the 1990s. 11 people were killed, and eight were found in barrels. Four men were charged over the murders and John Bunting was said to be the group’s ringleader. “I remember when they were arrested in 2001,” director Justin Kurzel says. “It’s probably one of Australia’s darkest chapters in recent history. It’s a level of brutality that I don’t think we have ever seen.” (Cited in The Canberra Times, May 2011). Interestingly, the focus of Snowtown is not on John Bunting. In fact, we are given little information about his background. Kurzel’s aim for the film was to focus on character development and to highlight the transformation and corruption of the young and troubled boy Jamie, who suffered sexual abuse throughout his life. For the director, he wanted to explore “the characters’ decent into a kind of hell and what inspired them to make the choices they did, and how they responded to this incredible brutality.” (The Canberra Times, 2011). While there are some intense violent scenes, unlike most films based on serial killers, Snowtown is not a horror movie, and it’s definitely worth a watch.